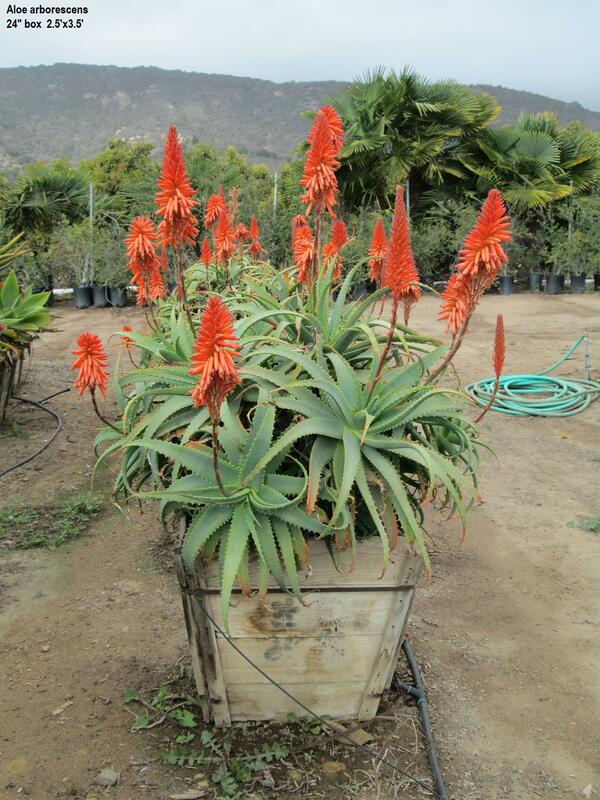 Aloe arborescens - Jimenez Nursery, Inc.
this plant sends up spikes of showy orange flowers. 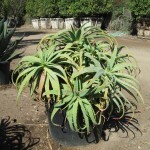 Best Uses: In mass groupings along borders or in pots. 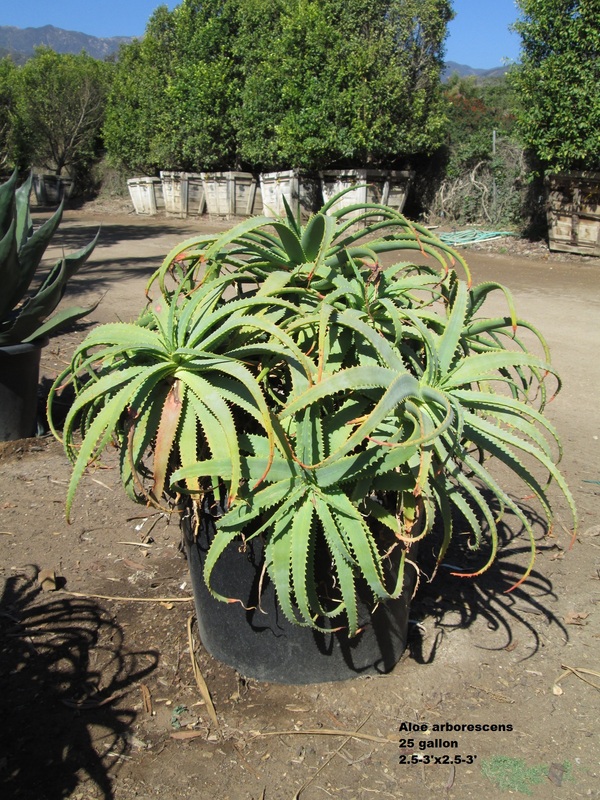 Recommended Placement: It needs protection from harsh sun and from frost, but does well in coastal conditions. 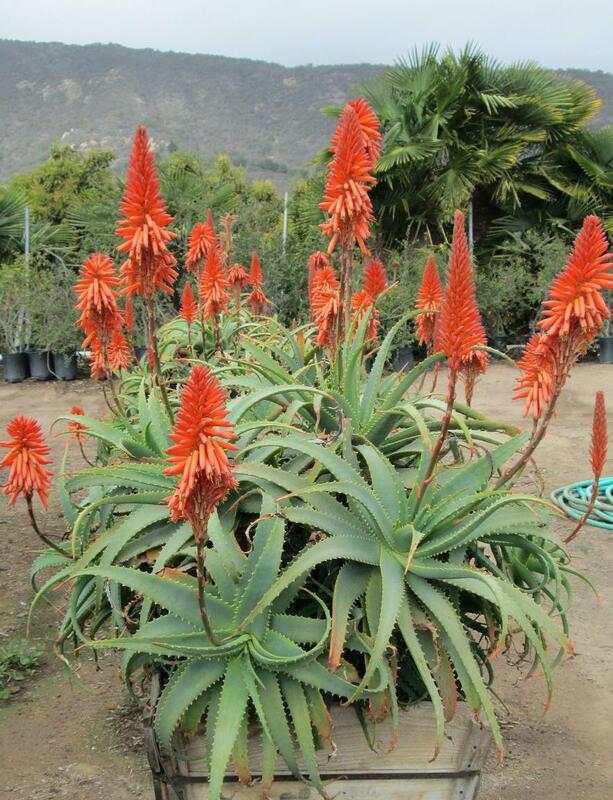 Is fairly drought tolerant. 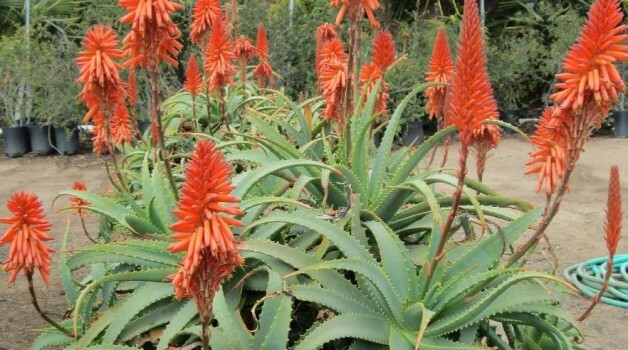 Optimal Soil: Sandy soil is best, but this plant is not fussy as long as the soil drains well.